Starting off as a young creative or marketing professional is challenging. You’re faced with trying to pick up on new information as quickly as you can and are put in situations that have you and your work going up against the best in the business. Making ends meet is difficult and it gets frustrating when your work is passed over time and time again. Be kind to yourself and stick with it if you’re passionate about what you’re doing and see yourself making this into a career. Keep in mind that many others have been in your shoes and made it big. 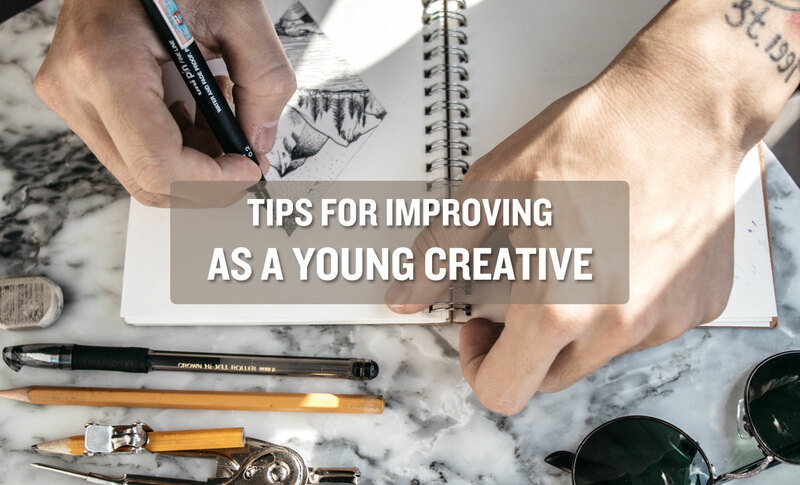 See tips for improving as a young creative. Seek out information and research individuals and companies who’ve made a name for themselves in the business. Take a look at tough industries that are difficult to break through like vape marketing. Successful companies understand the tactical intricacies of working in regulated environments. They help their clients position using the best marketing media available for their campaigns and guarantee approvals. All they do is bespoke and tailored to the specific brand. Find programs, communities and people like yourself who are looking to better themselves as a young creative. These professional groups offer networking opportunities and resources to help you improve your skills. There are tutorials and the chance to exchange ideas with those who are just as passionate about design as you are. Oftentimes the communities will offer blogs to help you gain knowledge and tools to help you build confidence and succeed. Involving yourself with a group of people who are just as zealous as you are will only help motivate you more. Spend any extra time you have perfecting your skill and getting better at what you do best. The more time and energy you put into your design and artwork upfront, the more experience you’ll have when you start looking for jobs and freelance gigs. Practice will ensure you make less mistakes going forward and help you see where you want to focus your energy in your career and specialty area. You can never prepare and train too much, but remember to take breaks and socialize with other professionals who may have additional pieces of advice to offer. Attend a conference or seminar to get outside of your own head and bubble. You’ll meet new people and learn fresh techniques that you won’t be able to achieve when you’re at home with your head down working. Take classes and sign up for programs that will help you polish your skills and give you the chance to ask questions. Being around other creatives will open your mind to new ideas and ways of tackling your work. Everyone has to start somewhere in their career. The same goes for you and your pursuit to be a successful creative. Do all that’s in your power to educate yourself and learn as much as possible along the way. These are tips for improving as a young creative.